As a certified Trex Platinum Contractor, Miles Bradley Building promises to provide both quality materials and exceptional workmanship from our highly experienced master carpenters. As a customer, you can count on competitive pricing, award winning customer service, and professional design services. When you choose Miles Bradley Building to help you improve your home, you are choosing a family of professionals. President/Owner Paige Bradley Wedgle has been in custom decking industry for over 20 years, and believes Miles Bradley Buildings goal is not only to compete in the decking industry but to set the standard of excellence for all others to follow. We treat your home like it was out own; the kind of care you expect from family. As a homeowner, you want the outdoors to become an extension of your indoor living space. Miles Bradley Building and Remodeling Inc is a full service design and build custom deck and sunroom firm serving all of Michigan and Illinois including the entire Chicago Land area. Miles Bradley Building offers a variety of services. 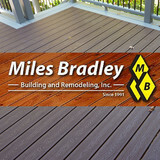 Whether it is a typical rectangle deck, or a multi-level custom deck with a colored inlay and a two board border; Miles Bradley Building specializes in Low Maintenance Decking, Gazebos, Pergolas, Trellises, Screen Enclosures, Sunrooms, and 3 Season Rooms. Miles Bradley Building will work one on one with each customer to design and build a deck that will exceed your expectations. We have built a reputation nationwide as being an expert in low maintenance decking and building products. Our team of decking professionals will design, build and stand behind every project from concept to completion, and will complete your project with the combination of professionalism, honesty and satisfaction. Woodcraft Design and Build – the deck builders of Michigan, are a full service design and build company. We are a family owned and operated business that has been serving the residential needs of southeast Michigan for more than 30 years. It is extremely important to us that we treat your property as if it were our own. We pride ourselves in leaving our customer’s property in a clean and safe condition. Let us transform your outdoor living spaces to make your home a beautiful all-season retreat! Caselli Hearth & Stone, LLC. Caselli Hearth & Stone, LLC. proudly serves Macomb, Oakland and surrounding areas. 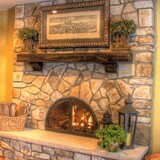 We specialize in fireplace and stone veneer installations. We also do minor chimney repairs, chimney sweeps and more. We are a small business that cares about every customer and we strive to give them the quality work they deserve. Give us a call today; we are happy to provide a free estimate and look forward to earning your business! Check us out online to see our projects! Windsor & Essex County's experts at creating fabulous outdoor living spaces. Whether it's gorgeous landscaping, innovative decks & fences, pools & spas, or outdoor living products, Creative Homescapes has everything you need to bring your backyard dreams to life - together with the know-how and experience to pull it all together. We are your local specialists in Deck and Surface Restoration. We have the knowledge and experience to fulfill all your exterior restoration needs. We take pride in our work and it shows. We are a privately-owned company, since 1995. We pride ourselves in bringing the highest quality decks, rails, and fences to our customers. We strive to exceed expectations with our attention to detail, efficiency, and highly skilled employees. Leaders in constructing top of the line decks, railings, gazebos, pergolas, 3 season rooms, and fencing. Not only do we install throughout the region; we supply Evolve decking, Westbury Railing systems, Atlantis Railing systems, Courtyard Fencing, and all the code compliant hardware and fasteners needed. Four Seasons Sunrooms Kitchen & Bath of Ann Arbor has been a family owned franchise for over 26 years. 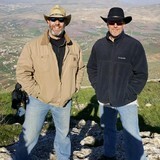 Our company is operated by Bob & Tammie Clark, who have over 35 years of experience in the industry. We are tried and true, highly recommended, boast an impeccable reputation, dependable, excellent customer service and internationally recognized as the Industry leader. We set the standard! Our projects are custom designed to fit your home and fit your budget. We offer financing options including 12 Months Same as Cash. Our additions offer all glass or conventional roof, skylights are available. Our glass is a patented design ConServaGlass that allows you to keep your room cool in the summer and warm in the winter. We are the ONLY sunroom company that creates this unique and beautiful addition that you can use 365 days a year. We dare you to compare our product. Visit our showroom to experience our Glass Demonstration and sit in full size displays our of additions. We have portfolio's full of our projects, before and after photos and customer testimonials. We offer FREE catalogs showing the largest variety in the industry and FREE In-Home Design Consultations. CALL or VISIT US TODAY! Biondo Cement is dedicated to designing and installing the finest custom stamped concrete and exposed aggregate patios, driveways, walkways and more. With over 25 years in the industry, Giovanni Biondo is continuing to perfect his craft and build his business. He has a passion for offering his customers something new every year and is constantly brainstorming how to provide the next best thing. This has led to him becoming the most trusted concrete contractor in Southeast Michigan. Michigan Deck Builder MGE Carpentry, Inc. has been building decks in Michigan and decks in Oakland County for over 16 years. We have the experience and expertise to build a beautifully crafted custom deck for your home. Our goal is to provide the Michigan homeowner with top quality service and products at competitive prices. We handle the entire process of the project from the initial consultation and design, to permit applications and association approvals, on through construction and cleanup. We have built hundreds of custom decks in Michigan and have equally earned the trust of hundreds of satisfied homeowners. Our craftsmen have experience in working with all types of deck and railing materials. From the rich beauty of Western Red Cedar to the latest in low-maintenance composite decking Trex Transcend®. Accent your deck with low-maintenance Trex railings, aluminum railings, or even glass railings to preserve your great view. Add some dramatic low voltage deck lighting and you can have a truly unique deck. Since 2009, Decks and Fences by Ryan has offered a wide variety of unique and creative decks and fences. Only 7 months after the start-up, Decks and Fences by Ryan was recognized by the community for excellent customer service and quality finished work. With over 25 votes from previous customers and associates, we were nominated for the ‘Good Fence Sense Company’ oscar hosted by BIZ X Magazine. A panel of judges then reviewed the facts and it was unanimously voted that we are a company that “excels in the construction of decks and fences, with a high priority on customer service”. We service any area around Windsor, including Tecumseh, Lasalle, Belle River, Kingsville, Leamington, Lakeshore and Amherstburg. We live, eat & breathe construction in all its forms. Keeping construction going strong in this country provides local employment. We know that our reputation is only as good as the results of our last job. That's why we pride ourselves on a results-oriented approach. At Michigan Sunrooms, we've taken our collective experience to create our own methodology to keep your project on track and on budget. We are a TREX PLATINUM PRO, We will help you figure it out with a free design consultation. A comprehensive needs analysis uncovers what you're looking for. For example: your lifestyle, tastes, expectations, and budget An in-depth site survey buttons down the particulars. Our Idea Book stimulates your imagination. You can either choose to move forward with one of our designs or get creative. A Bella Decks professional will work with you to refine or streamline the design. Rather than an estimate, you're given a precise price quote. After we determine your needs and the specifics of your site, you can choose to move forward with a project retainer. Our quality-focused job process methodology: -SNELL & Associates L.L.C. obtains all necessary permits. -Workers respect your property -Construction debris is removed daily. -You approve the final structure and enjoy! Great Oaks Construction Services, LLC is a fully licensed and insured construction company specializing in deck building and deck repairs. We have extensive experience with both wood and composite decks. We are based in Oxford, Michigan and are proud to provide our services to Northern Oakland County. We understand that choosing a contractor is an important decision. At Great Oaks Construction Services we take pride in every project that we complete and strive to satisfy the needs of every customer. And as our past customers will tell you, our company provides superior service and results that will exceed your expectations. Contact us today to set up your free in-home consultation! We will be happy to provide you with an easy to understand, no obligation quote. Crown Sunrooms is an integral part of a family owned and operated company established in 1955 and celebrating our 60th year in business! Our headquarters and state-of-the-art facility is proudly located in Davison, Michigan. We manufacture the highest quality sunrooms and are the only sunroom to carry the Crown Logo with Earthwise™ Windows and the Good Housekeeping Seal of Approval. The ONLY Wood /Vinyl Composite Sunroom! Transform your home and enjoy nature by letting the outdoors in, with your new Crown Super-Room. It's time to upgrade your comfort and embrace nature. Michigan’s Best Deck Builders has been in the decking business since 1997. We are the home of Michigan’s finest custom deck builders, based in Oakland County, servicing all areas of Michigan. We are committed to providing our customers with quality decks, designs, and workmanship. Our workmanship speaks for itself. Our custom deck solutions offer our customers long lasting, enjoyable and structurally sound custom decks that are sure to add value and functionality to any home. We stay fully committed from estimate to finish. Michigan’s Best operates with a dedication to treating customers like family with quality work and fair and competitive pricing. One of our experienced project managers will partner with you to create an outdoor environment tailored to fit your needs and desires. Call us and experience our commitment to excellence in every aspect of our business. Our strength is communication! We put as much value on your time as you do. Your home is your most important possession, which is why, from the very beginning, quality has been our main objective. If you want the best quality at the most affordable price, let Michigan’s Best Deck Builders give you a free estimate today! What services do deck and patio builders in Redford, MI provide? To help you choose the ideal style, configuration and materials for your deck or patio, your deck and patio contractor will survey your Redford, MI lot and your home to come up with a design that complements your exterior as well as being structurally sound. He or she will recommend sizes, heights and construction materials that suit your lifestyle and climate, as well as explain the best stain or finish options. Additionally, deck and patio professionals can provide insight into additional components such as outdoor kitchens, patio covers, fire pits, outdoor lighting, arbors and more. Your deck and patio professional might work closely with another Redford, MI lawn and landscape professional. Here are some related professionals and vendors to complement the work of decks, patios & outdoor enclosures: Landscape Architects & Landscape Designers, Garden & Landscape Supplies, Stone, Pavers & Concrete, Landscape Contractors, Building Supplies. Find a deck and patio builder in Redford, MI on Houzz.